After building more than a dozen breweries with his company OC Mechanical, Steve Carlyle decided to open his own. 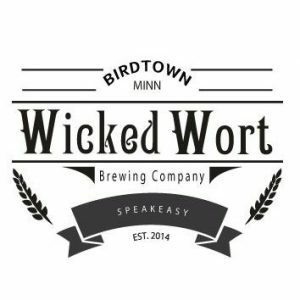 Wicked Wort Brewing Co. took over an old bank building in the heart of Robbinsdale, and transformed it into a two-level brewery and taproom.Brewers Kyle Sisco and Josh Denny create a rotating lineup of beers from their state of the art 10-barrel brewhouse. Wick Wort Brewing is a 21+ establishment. Visit Wicked Wort Brewing Company.